A Fabulous Well Curated Collection Comes To Auction At Bonhams London On February 20th! Any serious collector of R. Lalique within a days traveling distance of London by air or train would be nuts* not to go and preview this sale. Considering the number of rare and hardly ever seen objects, combined with the incredible attention to quality, and the discernment with which this collection was assembled, what we have here is a tour de force of many areas of the collecting field that will astound fans of the great Rene Lalique. Basically, it’s a graduate level course on what the goods** can look like. And for a serious number of the lots, you can count on one hand how many current collectors have ever had that particular model item in their hand. If you go to Bonham’s to see and handle all the pieces in this sale, it will likely change your outlook about what constitutes quality. And now to our story. 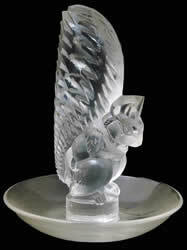 On February 20th at Bonham’s Knightsbridge in London, over 200 R. Lalique items from a single UK collection will be offered. The collection was assembled over several decades by a low-key, persistent, diligent, and well-informed R. Lalique lover who traveled the world to acquire the various objects on offer. Cire Perdue 1, Vases 47, Paperweights 32***, Car Mascots 40***, Statues/Statuettes 7, Perfume Bottles 9, Boxes 13, Glasses 4, Decanters 8, Seals 24, Bowls 6, Decorations 6, Ashtrays 3. In addition to the above there are some single lots of particular types including an Invitation, Menu, Pendant, Perfume Burner, Candelabra, and Knife Rests. But the story is in the models. 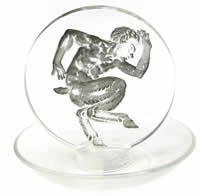 Looking at paperweights for example, ignoring crossover mascot/paperweight models, the paperweights comprise all the known commercial examples except a single religious theme 1943 paperweight. That means the incredibly rare Crab, Lobster, and both Sardine Paperweights are offered! The are about 2 dozen seals comprising many extremely rare models including Chamois, Les Sources, and Pigeons. And there are yellow amber examples of both Bressan and Soucis. 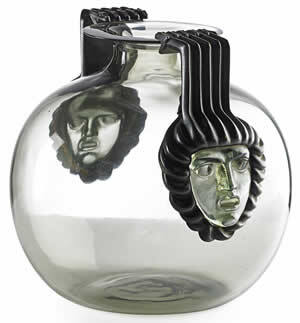 The 8 decanters have early and rare models including Aubepines, Masques (with the rare metal stopper), Lezards, and Six Tetes. Only 4 glasses? How about Quatre Grenouilles, Bague Lezards, and not one but two Mouettes, the seldom seen model made for the Queen of England on a State visit to France in the 1930’s. The boxes? There are hard to find models like Guirlande de Graines and Louveciennes, but also the impossible to find and totally cool Faune et Figures Box. The handful of bowls include the rich blue Anges Bowl, the opalescent Cyprins Coupe Refermee, and the opalescent, enameled, and patinated Fleur Bowl. The car mascots are almost all there. And the quality and rarity will jump out at you. 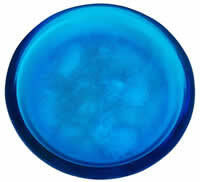 Who do you know with an opalescent Vitesse Car Mascot and an opalescent Chrysis Car Mascot in their collection? How about two different blue Tete De Paon Mascots? Even the ashtrays have bragging rights to include an alexandrite Alaska and a yellow amber Ecureuil. Finally, the vases are very heavy in early and hard-to-find, in addition to their extremely high quality. Grande Boule Lierre, Lezards et Bluets, Hirondelles, Inseparables, Camees, Lutteurs, Sirenes et Cabochons, Montargis, Bordure Epines, and Quatre Groupes De Lezards are all offered. And there are some great rare colored vases as well to include the ice blue glass Pigeons Vase and the multi-cased green and opalescent Alicante. A lot of collectors and dealers toss around the phrase “museum quality” to describe a piece. In this sale, you don’t have to take the seller’s word for it. Here, you have a large number of pieces that were actually exhibited at a museum. And it wasn’t just any museum, it was THE museum. Many of these items have been on loan to the Musee Lalique in France for years, and others were loaned for special exhibition there. And the provenance on many of the other pieces is notable. We’ll give just 2 examples to make the point. The single Cire Perdue traces to the milestone December 1995 Kagan Sale in New York City. 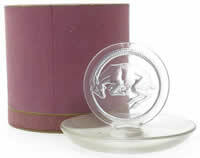 And the great Mouche Seal traces to the December 2005 sale in Paris of items from the estate of Marie Claude Lalique. The wrap-up: This collector was not just checking off boxes****, he was filling them in. There are opportunities here that a typical collector will likely never have again. 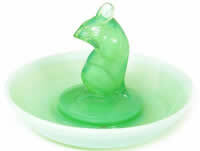 If you are serious about your R. Lalique, you might plan accordingly. All the lots can be seen HERE! * Nuts has many meanings, but here we use it to mean crazy and all the associated words such as mental, bonkers, loco, scatty, meshuga and the like. ** “The goods” in this use is not intended to be the opposite of “the bads”, though these goods are surely so. Here we use it to mean “the stuff” or “the merchandise”. *** There is some crossover of models for mascots and paperweights. **** “Checking off boxes” is used here as a metaphor for checking off things on a list by just going thru the motions to complete each task to the most minimum standard. 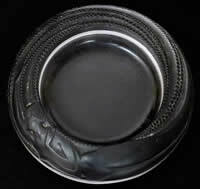 The Reese Collection, comprising the first 54 lots in the sale (that included some modern pieces) had a 100% sale rate. Every single lot was sold. 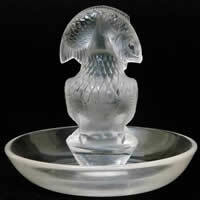 There were an additional 5 R. Lalique lots near the end of the auction, 4 of which sold. The overall sale rate was over 98%. Against a total estimate range for all offerings of $188,400 to $272,000, the hammer prices came in at $269,000, or just $3000 below the high estimates. All-in with premiums, the 58 sold lots made $336,250 or an average price of about $5800 per lot. The average was brought down by both the modern items and lots with various amounts of damage or missing pieces. 24 lots (over 40% of the lots) sold for a hammer of between $150 and $1400. 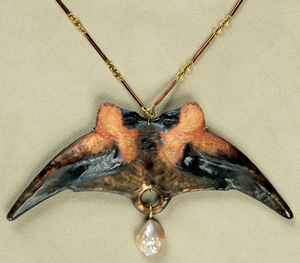 High seller was Lot 1, the Firebird Decoration (minor chip to base) that made $31,250 all-in. 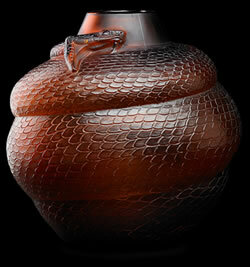 On the same basis the amber Serpent Vase Lot 3 and the butterscotch Acanthes Vase Lot 15 tied for 2nd place at $23,750. 4th highest seller was the blue Courges Vase Lot 21 at $21,250. Fifth place went to the amber Beetle Vase as Lot 14 at $18,750 closely followed by the rare 6th place Croix Saint Georges Perfume Bottle Lot 396 with an ill-fitting stopper that got $17,500. The high selling Firebird accounted for about 9% of the sale total. And the auction house reported there were over 2 dozen buyers representing most of the continents worldwide (no penguins of course) for the 58 lots. What can you say? 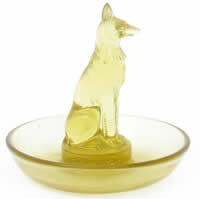 Another great day for Rago and for Rene Lalique! Over 50 lots of great R. Lalique that make of up the Reese Collection will kick-off the Early 20th Century Design Sale at Rago in Lambertville, NJ on Saturday September 22nd. The collection is deep in rare and colored vases including by way of example the amber glass vases Serpent, Penthievre, Sophora, and Gros Scarabees. 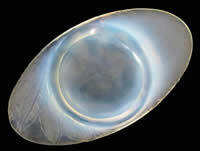 There are also white opalescent examples of Marisa, Poissons, Davos, Domremy, and Malesherbes. In addition there’s blue, green, red, butterscotch, and other rarities. 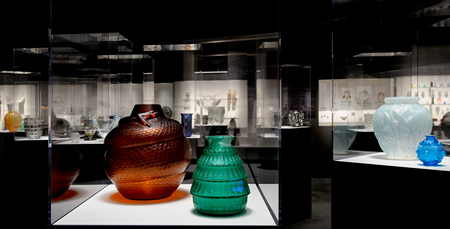 Nearly 40 vases in all, as well as a host of other items represent a good cross-section of the collecting field. 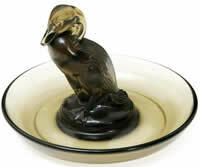 Those other items are topped by Lot 1, the 1922 surtout Oiseau de Feu complete with original bronze base. The surtout carries a conservative $15,000 to $25,000 estimate, just the kind of reasonable estimate that has been the hallmark of R. Lalique sales at Rago. Exactly one year ago to the day, on September 22, 2017, Rago achieved an amazing 97% sale rate at last year’s great R. Lalique sale. That sale rate was achieved by high quality, low estimates, and readily available detailed condition reports. This current offering follows that exact same recipe of attractive items conservatively offered with full disclosure about condition posted right online with every lot. 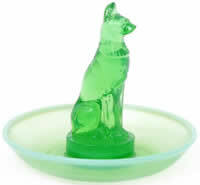 You can see all R. Lalique items in the sale on one page HERE! Just in here at World Headquarters is news of an auction event for which all serious collectors will want to mark their calanders. One of the most well curated* and significant single owner collections to come to market in many years has been slated for sale. Over 200 R. Lalique lots assembled over more than two decades with a strong emphasis on rarity and condition will cross the block at Bonhams Knightsbridge Saleroom in London on February 20th, 2019. 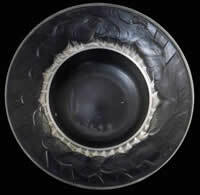 The collection has a heavy emphasis on car mascots (there will be 35 mascots) and early vases, but there are great examples across nearly the entire collecting field including the Frise Monnaie Du Pape Bowl shown here that was last offered for sale nearly 25 years ago at the incredible December 1995 Kagan Sale at Sotheby’s in New York. And there is also a great mix of academic and esoteric items as well. 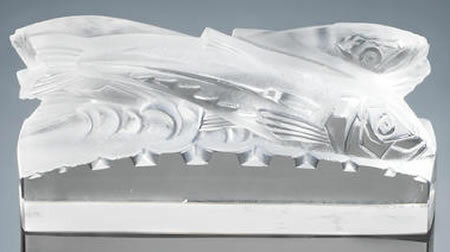 Many of the car mascots in the sale have been on loan to the Musée Lalique in Wingen-sur-Moder, France from the time of the opening of the Musée in 2011 until recently. They can be seen in a photo in an article we wrote at the time of the opening of the Musée as part of their permanent mascot display. 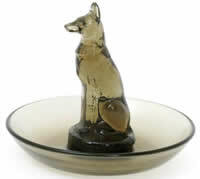 And every car mascot in the sale was exhibited at the Musée as part of the “Lalique and the Art of Travel” Exhibition in 2016. 9 of the Car Mascots in this sale, including a rare opalescent Vitesse, an even rarer opalescent Chrysis, and the two blue glass Tete De Paon Mascots shown above, will be on view by Bonhams as part of their Beaulieu and Goodwood Revival Sales in Chichester, Sussex, UK in conjunction with the show and the sale Bonhams is having there. Viewing / preview times for the nifty** nine are this coming Friday September 7th from 9:00 to 17:00 local time, and again on sale day Saturday September 8th from 8:30 local time as well. A preview of these incredible rare examples from the collection will only serve to whet*** the appetite of serious collectors in anticipation of the coming February event. We will update you with more details as the auction approaches. * Curate – As a noun, curate is a member of the clergy in a lot of churches such as the Anglican Church. Probably you could stretch that to what would likely be the made-up word (in this context) “curated” as being tossed into the clergy, or inculcated in clergyism (definitely a made-up word), or something like that. However, curated here is a verb meaning that the assembling of the collection was superintended in a professional, expert, or high quality manner, such as a museum curator might do. ** Nifty – An informal word for attractive, high quality, or appealing. *** Whet The Appetite – We often see “wet” in this phrase, but “whet” is a different word that means to hone, sharpen, or stimulate. 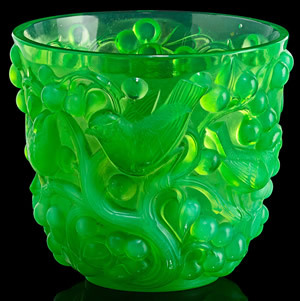 Rago Auctions Presents Another Great R. Lalique Collection September 22nd! The short version: What A Great Sale! 68 lots were offered at the auction, one of which was a small book lot that sold. 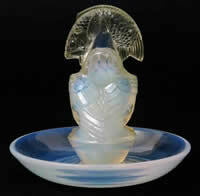 Of the remaining 67 lots, all of which were R. Lalique items, 65 sold and 2 remained unsold. The overall sale rate for all lots in the auction was over 97% based on the number of lots, and over 99% based on the estimates, the 2 no-sales being relatively low value items. Against a total estimate range of $253,300 to $362,700, the hammer prices of $375,400 exceeded the high estimate, and the total sale including the buyers premium of $469,250 was well outside the high estimate. The top seller was Lot 1, the Tortues Vase in alexandrite glass that made $30,000 all-in. On the same basis 2nd place at $25,000 went to Lot 7, the red Escargot Vase; in 3rd place was the blue glass Martin-Pêcheurs Vase as Lot 5 at $23,750; and in 4th place was the Lot 3 amber Serpent Vase for $20,000. The average price for the 66 sold lots was $7,110. 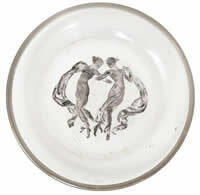 It was yet another amazingly successful sale for the works of Rene Lalique at Rago. The high selling lot accounted for only about 6% of the sale total. And the depth of interest revealed itself in the large number of bidders with Rago reporting over 2 dozen buyers from 5 different continents. Hot on the heels of its highly successful R. Lalique Solana Collection sale in May of this year, RagoArts in Lambertville New Jersey is bringing yet another decades old single owner collection to auction on Friday September 22nd, 2017. The Lexora Collection consists primarily of highly desirable colored vases and features both rare models and rare colors of commercial vases. Four examples tell the story. 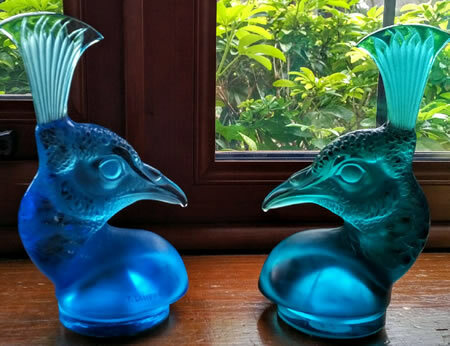 Lot 5 is a rare blue glass Martin Pêcheurs Vase. 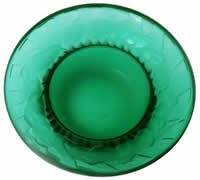 Lot 33 is a green opalescent Avallon Vase. And Lot 35 is an ice blue Pigeons Vase that combines a rare model with an equally rare color. Of the 68 total lots, all but 7 are vases, and all but a handful of the vases are colored glass. And the remaining 7 lots have some great models including a black glass Biches Inkwell and the blue glass Mesanges Bracelet. More good news is the reasonable estimates for some great highly marketable pieces, and the online condition reports that Rago represents to be accurate. It shapes up to be a great looking sale with the opportunity to acquire some seldom seen items, and also to have a chance at some great popular colored vases and other models at reasonable prices. You can see the entire sale catalog HERE! 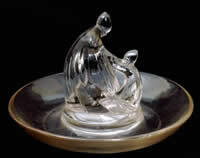 And don’t miss the additional R. Lalique items on September 23rd in Rago’s Decorative Arts sale. Here is a link to that listing in the Worldwide Auction section. ** Alexandrite was first discovered in the Ural Mountains in 1830. It was named after the young heir to the Russian throne Alexander II. 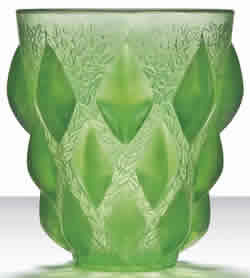 R. Lalique Solana Collection At Rago Saturday May 20th! Against a total estimate range of $277,700 to $405,650, the hammer price total exceeded the total high estimate, hitting $470,125. The all-in total was $587,656. The average total sale price per lot was about $5250. It’s typical in many R. Lalique sales that the top 1 to 3 items can account for 25% to 50% of the sale total, lifting all the average prices as well, but masking a low take-up rate and/or a weak breadth of sale. Obviously that was not the case here, as the strong offering of colored and other vases showed strength across the board with the high selling lot accounting for just over 4% of the sale total. It was another highly successful sale for the great Rene Lalique and for Rago, and a pretty good day for the consignor. An old collection long in storage of 115 items including nearly 40 colored vases will be offered at auction on Saturday May 20th, 2017 at the saleroom of Rago Auction House in idyllic Lambertville New Jersey. 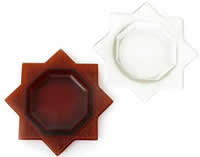 The lots feature a huge group of mainly larger colored vases, and an assortment of other attractive items. Of the 115 offerings, all but 20 are vases. Among the 20 non-vase lots are 4 clocks, a couple of statues (Thais in amber, Suzanne in opalescent), the iconic Masques Decanter and other various items such as the set of 6 Six Figurines Shot Glasses. But with the incredible assortment of vases, the collection hits the very heart of the collecting field in all shapes, sizes and colors. Just a look at the first four lots previews the colored vase story: Dark Amber Tortues Vase, Blue Courges Vase, Red Poissons Vase, Green Formose Vase! And the non-colored vase offerings are highly compelling on their own to include the great Salmonides Vase, the Quatre Groupes De Lezards Vase, and good looking clear and frosted Sauterelles Vase that is complemented by the blue and green colored vase offerings of the same model. Estimates appear purposefully low to ensure a maximum sales rate, and at World Headquarters we have been told the consignor wants everything sold. Condition reports follow the lot descriptions in the online catalogue. Rago guarantees its condition reports. You also have the fact that Rago has sold more R. Lalique through it’s saleroom than almost any other auction house during the last couple of decades, including many of the biggest auction house names in the world! Their experience and success is the big reason sellers of R. Lalique from all over the world find their way to Lambertville. And their reputation and the way they do business has obviously given confidence to an incredible number of R. Lalique buyers over the years. The collection looks like a rare chance to obtain some of the standout models of the great Rene Lalique at reasonable prices with the kind of sale terms and confidence you’ve come to expect from the historic Rago R. Lalique sales. Here is a link to the main sale listing here at RLalique.com with contact information: R. Lalique Solana Collection May 20, 2017. And you’ll find the entire sale catalogue HERE! 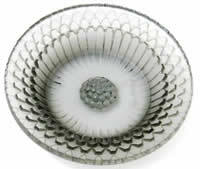 October 18th will be a date to remember in R. Lalique Ashtray History. 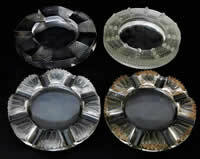 Likely the best collection of commercial ashtrays ever to appear at auction together will offered in over 100 ashtray lots! 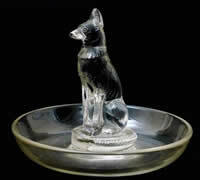 And there are over 30 other non-ashtray R. Lalique lots as well that by themselves would make a nice sale of the works of Rene Lalique. We decided to let the pictures speak for themselves, not just for the individual pieces, but also for the ashtray collection as a whole. Note that a couple of the pictured items are of unknown age and a few lots have multiple items where one or more are modern crystal pieces. And only the ashtrays are shown. So check it out. 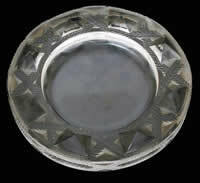 A Trianon Ashtray? You see one or two of those per decade. 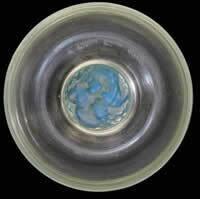 Or the seldom seen Belier Ashtray? 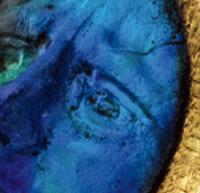 Color and rarities abound: blue this and opalescent amber and green that. 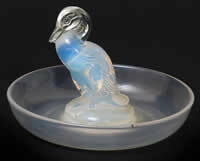 Of course for those readers not bored by details, here’s a link to download the catalogue listing for all the R. Lalique Lots with most all the riffraff* removed. And of course the auction’s listing from the Worldwide Auctions Section can be found HERE! Your man at the sale is Michael Jeffrey: +44 01722 424505 / mj@woolleyandwallis.co.uk. R. Lalique Silver Rhinoceros Beetles Chalice Sells for $235,000! In the 1989 movie The Last Crusade starring Harrison Ford as Indiana Jones, while facing a life or death choice among a table full of chalices with just one chance to identify the legendary Holy Grail and save his father, Jones passes over all the ornate goblets and settles on the plainest Jane* of the lot. Well, he would have taken a pass on October 15th at the Fauvre Paris Auction House, where an amazingly simple, elegant and incredibly unique goblet by Rene Lalique appeared at auction with a restrained pre-sale estimate of €40,000 – €60,000. The 6 and 1/4 inch goblet featured a stylized repeating intertwined thin leaves motif silver openwork frame with rhinoceros beetles highlighted by blue and black enamel, all surrounding blown in opalescent glass. 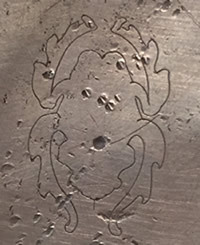 In addition it had a well worked base and a pretty cool beetle mark on the underside. 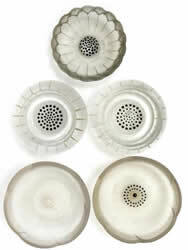 It was classic Rene Lalique, devoid of expensive gems, and having nothing in common with the ornate bejeweled chalices so long in fashion among the upper classes and royalty of the period. It was art plain and simple, in the great tradition of Lalique’s unique metalwork and jewelry, for which Emile Galle named Lalique “the inventor of modern jewelry”. The chalice was created during the period 1895 to 1897. 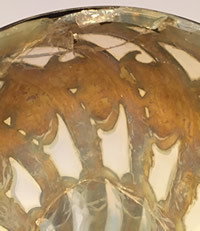 It was exhibited at the l’Exposition Universelle de Paris in 1900, which was the groundbreaking appearance for the jewelry and unique objects of Rene Lalique. It was again shown at the Salon de 1902, section Arts Décoratifs in Paris where it was acquired and then descended to the consignor at the auction. Obviously notwithstanding the lack of jewels or excessive highly worked precious metals, Lot 77 was not the cup of a carpenter. It was the cup of an artistic genius and highly accomplished jeweler. Today, the phrase Holy Grail is not just used to describe the cup of Christ or other alternate objects. The Chalice had one condition problem. 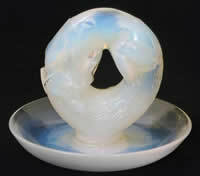 The blown in opalescent glass was severely damaged (though reasonably stable) as shown in the last photo here. That did not deter the roughly dozen serious bidders that competed from across the globe for the chance to own the great object of desire. From one end of North America to the other, and from the UK to the edge of Europe and beyond, the auctioneer Cedric Melado heard from phone bidders competing with strong left bids and room bidders to make the acquisition. Bid amounts quickly left the pre-sale estimate behind and one by one the competitors withdrew until only a Frenchman in the room remained the last man standing. He outlasted all the international interest and won the day with a final all-in bid of €206,250 (or about $235,000). The new owner has at least one thing in common with Indiana Jones; they both chose wisely. Kudos both to the auction house and to the expert Amélie Marcilhac. The auction house and expert got the sale information and extensive lot information out in a timely manner, and responded to inquiries immediately. And of course, they got the attention of RLalique.com. Getting all necessary information and getting questions answered was quick, easy, and professionally managed. Our experience shows that top notch service and complete information encourages confidence in bidders. The sale of this chalice was a good example of how to do it right. 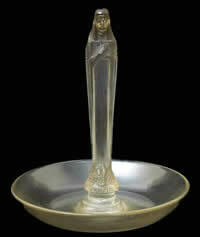 Of course a good day for the auction house and their expert, and a great day for the great Rene Lalique. For additional information, see this Chalice’s auction page here at RLalique.com. * A plain Jane is an ordinary looking or average girl or woman. It has also come to mean any ordinary looking object. ** Holy Grail Object: A cup, plate, stone, etc. of too many legends and connections to recount here. But what Harrison Ford did in the movie, was cement a connection in much of the modern public mind between the legend of the Holy Grail and the cup used by Christ at the Last Supper, the Holy Chalice. That connection is but one of many stories and explanations that have developed over time. *** Rhinoceros Beetles: Maybe they reminded him of his mother-in-law. 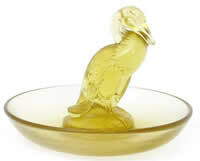 **** Holy Grail Expression: For example, a cure for all cancers would be the holy grail for many medical researchers. 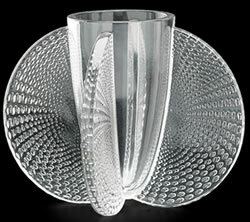 Rago Comes With Great R. Lalique: The Tradition Continues! When you think about auction houses around the world that handle large amounts of R. Lalique, you naturally think first of the 4 big companies that claim to have the highest total dollar sales. 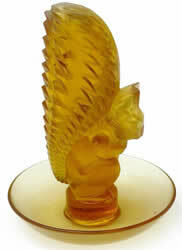 They all conduct auctions in multiple locations and they all get a substantial amount of R. Lalique. But what you might not know, is that that the No. 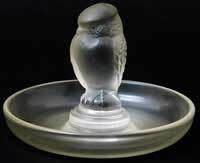 5 leading auction house for R. Lalique items doesn’t have a salesroom in Paris, or London, or New York. Nope! And it’s not L.A. or Chicago either. For the No. 5 you’d want to take a trip to a former ferry location on the Delaware River just a stone’s throw from Pennsylvania. It’s a small town in a rural area that in the early 1800’s was named, in a longstanding American tradition, after a politician in same year it got its first post office! Well, 200 years later, there is still only one post office. And while the town’s population seemed like it was going to break the 4000 persons ceiling in 1990 when it reached over 3900 residents, it still has not been able to do so even 25 years later. To be fair, we keep calling it a town but it is a city; one of the smallest cities in the United States. And contrary to what might come to mind when the geography challenged neophytes that rely heavily on stereotypes might understandably think when they hear “New Jersey”, Lambertville is not Newark. Not even close. Lambertville is a great quiet, artsy, quaint, antique haunt, seemingly in the middle of nowhere. When you throw in a surprising selection of unique restaurants and some amazing bed-and-breakfast lodgings, you have the makings of a very pleasant long-weekend only an hour and a half outside of New York City. 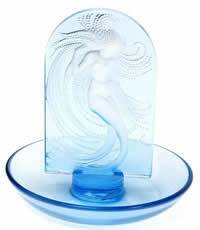 And getting to the point of our story, if you are an R. Lalique collector, well it can be really pleasant. Because Lambertville is home to the Rago Arts And Auction Center, likely the world’s No. 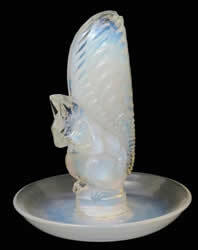 5 auction house seller of R. Lalique over the last 10 to 15 years. 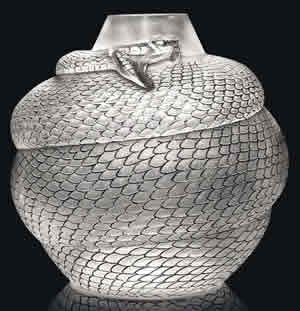 Rago has sold an average of around 200 R. Lalique pieces per year over that time frame. About 50 of the lots are vases, and about 30 of those vases are colored vases. 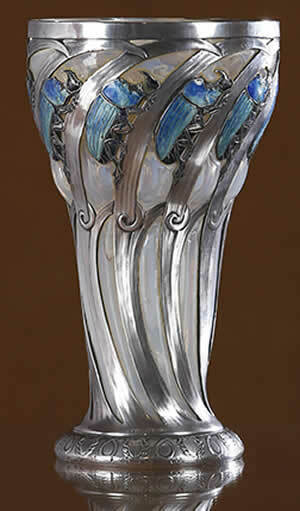 The biggest pre-sale estimate belongs to Lot 1, a topaz glass bronze handled Cluny Vase estimated at $80,000 – $100,000. The colored vase selection includes several Perruches, several Ronces, and 2 each of Monnaie Du Papes and Formoses. For non-colored glass vases there is the seldom seen Los Angeles Vase and an enameled Antilopes Vase, as well as many others. There are also some non-vase rarities including an Elephants Bowl ($12,000 – $16,000), a Caravelle Decoration ($65,000 – $80,000), and a Normandie Lamp ($6,000 – $8,000). You can see all the lots in the catalogue online HERE! Three great things about this sale jump out from the catalogue. First, overall the pieces look great. Second, the selection of items in the sale is exactly the marketable kind of items that many collectors are looking for today. And third, in the main*** the estimates appear very reasonable. It doesn’t look like they’re starting out at top dollar and hoping to move up from there. It appears they plan to sell the stuff. Those three points are further enhanced by the fact that Rago states that they guarantee the condition reports that you will find online linked from every lot in the sale. If something looks good you can read the guaranteed condition report right there. Frank Maraschiello, a former Director at Bonhams in New York City, has recently affiliated with Rago. 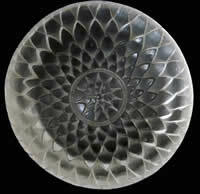 A lot of the staff at Rago has handled a bunch of R. Lalique over the years, and Frank has seen a decent amount as well. He can be reached through the main phone number for the auction house: (609) 397-9374. When you talk to Frank about the pieces of interest, also ask him about the guarantee of the condition reports. But remember, satisfy yourself first. Do your homework first. The guarantee is a great bonus, but it’s just that, a bonus. 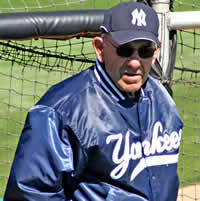 If they mess-up, and then you mess-up, you have another backstop. A backstop you should not be expecting to need because you did your homework! With the great knowledge and experience of the Rago staff; the great looking selection, the reasonable estimates, and the continuing good market for R. Lalique, it has all the makings of another successful Rago sale, and another great day for the great Rene Lalique. *** “In the main” means “for the most part”. 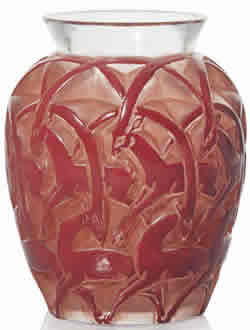 R. Lalique Cire Perdue Vase Appears At Auction Online! Cire Perdue Vases don’t come up for auction very often. Usually just a few a year. And to say they don’t usually appear at the online auction websites such as Ebay would be an understatement. But a great looking Cire Perdue did just that this week when it appeared from a Wisconsin seller (with over 18,000 positive feedbacks) that had purchased it at an estate goods shop. The starting price was $999 with no reserve. You can see the online auction HERE ! The new arrival is the vase Branches De Mures Formant Deux Anses. The vase has been unknown in modern times, likely purchased back in the day and not having come back to market. It appears in the Catalogue Raisonne only as a drawing. 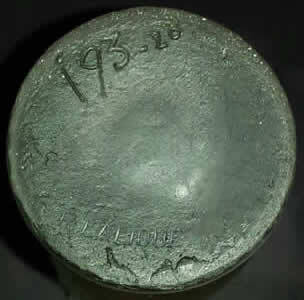 The mold number 193 and the year it was made 1920 both properly appear on the underside in the glass as 193-20 and match the information in the drawing of the vase. The vase features a wonderful blackberries motif and is represented by the seller to be basically in original condition, save minor fleabite type stuff with no cracks or chips. Obviously there are manufacturing imperfections caused by the nature of the process used to create the great Cire Perdue. The copious photos included in the auction listing appear to confirm the condition description. 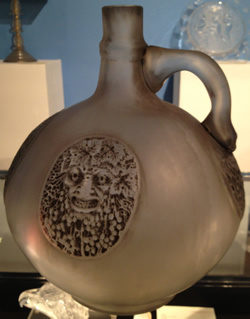 We were alerted to the offering around an hour after it appeared online, and immediately posted the vase in the Worldwide Auctions Section here at RLalique.com. There is also a close-up picture in the highlight photos at the top of the auction page with a text link to take you straight to that listing and save having to scroll through all the other listings that are on that page (82 as of this writing). The vase is 6 and 1/4 inches tall and a bit over 4 inches wide at its widest point. Several bidders and interested parties have contacted World Headquarters to talk about the vase. Judging from the level of chatter (with possibly some educated surmise thrown in), it seems that the vase should do quite well. Of course as usual it will likely be a bit of a nailbiter** at the end as the hoped-for pre-arranged automated bids come in (or not) with seconds to go. Additional information about Cire Perdue pieces, including an explanation of how they are made, as well as links to all areas of the website that might be informative on the subject, can be found in the Cire Perdue Section of the biography of Rene Lalique! UPDATE 10-18-15: The vase sold for $65,100. Four different contenders had bids in at $45,000 or more. **A nailbiter (or nail biter) is a tense or anxious situation, which is why many people chew on their nails to begin with. Medically speaking, the habit of nail-biting is referred to as onychophagy. So if you bite your nails in public, you can rest assured that medically trained passersby may very well be referring to you in a smarmy manner as an onychophager, a word we just made up but seems right and it could even be a word. And if all this is not bad enough, you might as well know that the American Psychiatric Association classifies nailbiters as OCD (obsessive compulsive disorder) and words like “pathological” have often been used in conjunction with nail-biting behavior. Basically it’s literally, figuratively, and literarily, about as close as you can come to wearing your bad habits on your sleeve (reaching back over 500 years to Iago in Shakespeare’s Othello – “But I will wear my heart on my sleeve”). 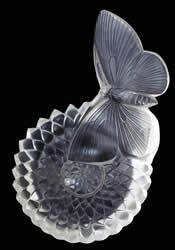 R. Lalique At Christie’s South Kensington: Strong Results! 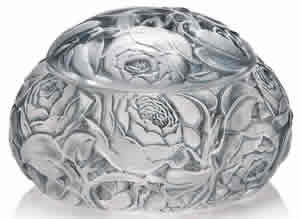 Christie’s June 16th semi-annual sale of R. Lalique added to what has been a long string of twice yearly solid to stellar performances stretching back for some time. The sale made a premium inclusive* £584,375/$911,625** of which £570,000/$889,000 was for the 91 sold R. Lalique lots, or an average of approximately £6264/$9800 for the R. Lalique. As is more often the case than not, most of the offered lots were vases (70 of the 128 R. Lalique lots***), and they took up the better part of the high sellers after the top spot. That honor went to the rare model Source De La Fontaine Statue that sold as Lot 50 for £30,000/$47,000. This shows that the sale had good depth when looked at by prices achieved, as no single lot accounted for even 6% of the sale total. 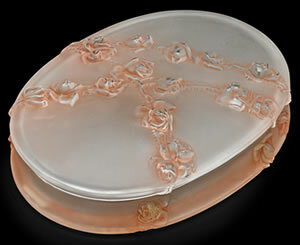 The sold percentage by lots was 98/137 or 71.5% overall, and 91/128 or 71% for the R. Lalique. 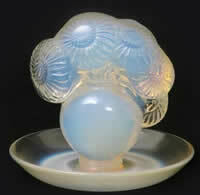 The opalescent Perruches Vase was a strong price. 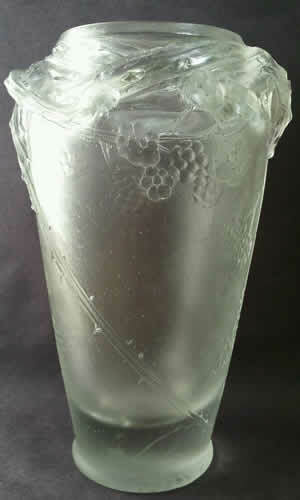 But one other sale item deserving of special mention was Lot 7, a clear glass Chamois Vase Model No. 1075 shown below. This would typically be about a £500/$800 vase on a good day. 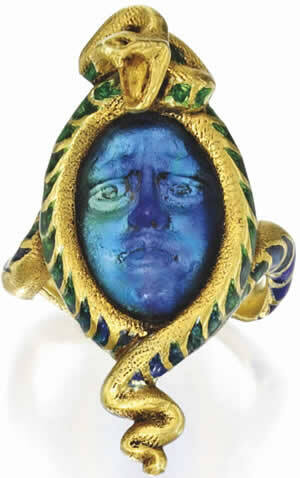 But with red staining and enamel it made £13,125/$20,500. Ignoring the fact that if the vase were red glass it may not have made that kind of number, somebody got themselves about $20,000 of red paint and enamel (P&E)! We can’t say for sure if the applied coloring was original or not because we never handled the vase. However we can say without hesitation that with the high price paid for the P&E, we’ll undoubtedly be seeing more P&E vases with wonderful colors in the future. That wry**** observation aside, once again Joy McCall and her great staff came through with a good selection of items including a lot of colored glass vases. Their presentation was top notch, the customer service was high level, and the promotion was thorough. 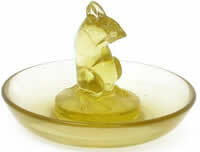 The result was another good day for Christie’s and another great day for R. Lalique. * All sale figures used are premium inclusive. ** All dollar amounts are based on the estimate of $1.56 per British Pound and are rounded. 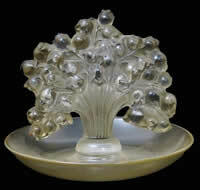 *** 2 of the R. Lalique lots were only partly R. Lalique. **** “Wry” is dry and sometimes ironic humor. Consider this from actor Kiefer Sutherland as Jack Bauer talking to a bad guy on the American T.V. Series 24 – “The only reason that you’re conscious right now is because I don’t want to carry you.” Of course he might not have been joking. Interestingly, Kiefer’s full name is Kiefer William Frederick Dempsey George Rufus Sutherland. Aspirations of royalty? His dad is the great Canadian actor Donald Sutherland, who is kindly remembered for his role as Hawkeye Pierce in the original 1970 movie Mash. Of course 45 years later, Donald is most famous for his role in the Hunger Games movies. However for true aficionados of mindless entertainment (count this writer all-in for that), his most important and lifetime achievement role (think Charlton Heston as Moses in Cecil B. DeMille’s 1956 movie The Ten Commandments) was in the 1978 National Lampoon movie Animal House. Most people I talk to (an admittedly and curiously narrow group) have seen that movie at least a dozen times. Almost a decade before the birth of Rene Lalique, in a small but burgeoning town a few miles north of Boston, a not quite 40 year old Amory Houghton got in his mind to get in the glass making business. He started with a share in one small local glass company and later acquired other glassmakers. 13 years later, in 1864 Houghton took over the Brooklyn Flint Glass Company in Brooklyn New York. Even with the help of his two sons, the Brooklyn business was financially unstable. And of course the fire was a big problem too. But along came an inspired banker from the small town of Corning New York who convinced the family (naturally money was involved) to move their business to Corning. Through the years and plenty of ups and downs, the company has had an amazing run through American history. 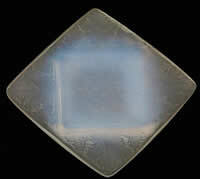 It worked with Edison on his glass for the light bulb, and for Steve Jobs it developed the glass screens for the iPhone. 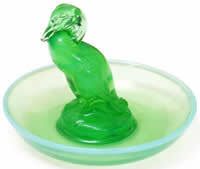 It created the glass for Liquid Crystal Displays (LCDs) and invented Pyrex. It made the mirror for the Mount Palomar observatory and supplied the glass for the primary mirror in the Hubble Space Telescope. And when responding to a 1960’s era request from the British Post Office for a better and more reliable transmission material, it created the optical fiber that has revolutionized communications. And this is just a small sample of the highlights! At Corning’s Sullivan Park Research Center, they obtain something in the neighborhood of 25 patents a month as Corning spends around 9% of all revenue for R&D. But the company is also strong in community and social works. One such undertaking was conceived to help celebrate the company’s 100th anniversary: the establishment of the Corning Museum of Glass (CMoG) in 1951. The museum is an independent and not-for-profit organization whose mission it to tell about and keep alive the history and the art of glass. In addition to being an operating museum visited by something like 400,000 people per year, it also holds seminars, classes, demonstrations, workshops, and lectures. It has everything from glassmaking to glass breaking demonstrations, and museum visitors can literally make their own glass as part of their experience at the Corning. On top of all that, the museum is active in both scientific research and publishing on a wide variety of glass related topics. All in all, the museum is nearing 50,000 different glass objects in its collection that span roughly 35 centuries of glassmaking. Also part of the museum is the Rakow research library (named after significant benefactors of the museum), the leading research library on glass anywhere in the world. 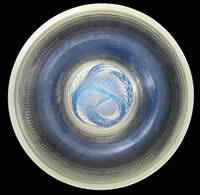 The library has an extensive collection of original period materials on all aspects of glass and glassmaking. Of note is that the collection includes some great original materials related to Rene Lalique (yes, we’re getting to that guy soon:) some of which previously resided right here at World Headquarters! Of course, these are but a small part of the over 2000 documents relating to Lalique’s glass production housed at the Rakow. 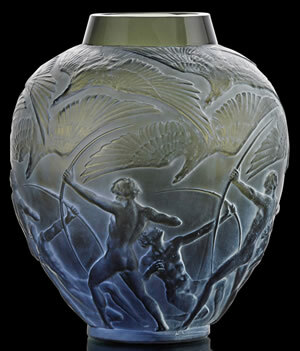 Of the tens of thousand of objects at the Corning, until recently only about 200 were directly related to Rene Lalique. Over half of those were acquired in the early 1980’s, comprising rare models and prototypes (work pieces) which had been kept together by a Rene Lalique et Cie factory supervisor from the period. 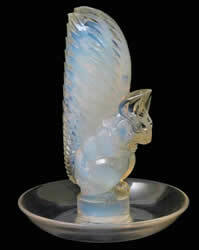 But in 2011, Stanford and Elaine Steppa, New Jersey residents with a longtime involvement in the works of the great Lalique, donated about 400 items to the museum. 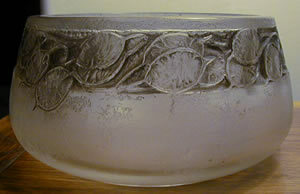 Most of the items were commercial production pieces, which by their numbers sampled the largest part of the gamut, in time and types, of Lalique’s commercial works. And there were also a few amazing rare unique and nearly unique items as well. So now with around 600 pieces representing everything from the conception to the process to the results, the reference material to back stop it all, and the ability to borrow objects to fill in a random blank or two**; suddenly the story appears in the totality of the materials and objects. Suddenly, it’s not a good looking glass vase from 1922; it’s the story of the artist and his design development and influences (the swans on the pond or the birds in the trees at the country house). It’s how the glass thing got started (the jewelry, the bottles), how it was industrialized (the models, the patents), how the art was conceived (the drawings) and with what means and what steps (the work pieces) the final object was created. Suddenly, what we call a story, they call an exhibition! It’s the visual and referential story of Rene Lalique, told one piece at a time through about 200 objects, and amazing period reference material. 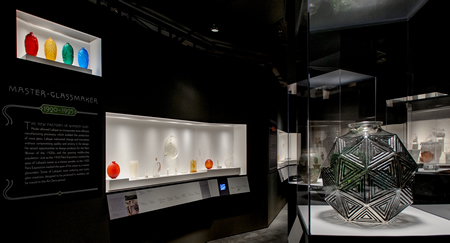 It’s “Rene Lalique: Enchanted by Glass” at the Corning. The exhibition is already up and open (as of Saturday May 17th) and will continue through January 4th, 2015. Our takeway*** from an in-depth interview with the exhibition curator Kelley Jo Elliot**** can be boiled to down to one overriding message. The purpose of the exhibition is to tell the story. From the Cire Perdue Vase, to tell how he did it and how it came to be. 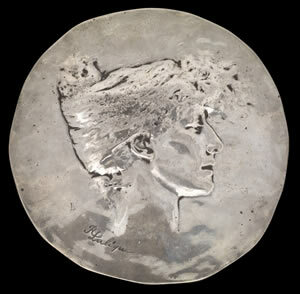 From the 1893 exhibition medal, to tell what his goals were, what was important to him, and how he was trying to achieve his aims. From the round green glass invitation medallion, to show his technique and his touch. And from the iconic commercial R. Lalique items such as the Serpent Vase, the Tourbillons Vase, or the Suzanne Statue, to be able to explain in the context of Lalique, his world and his history, how these wonderful art glass pieces were developed. To help put it all in perspective the exhibition is organized in a couple of ways, including by timeline. 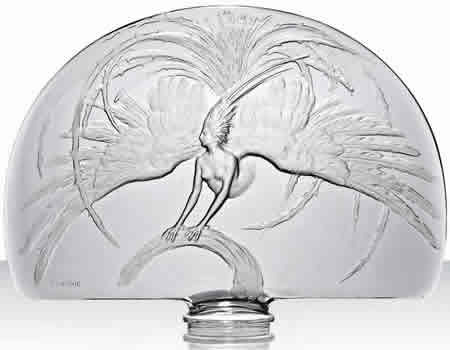 So the visitor can see the development of Lalique from unique jewelry all the way to the later big architectural pieces; which would include by the way, the amazing 1932 figural panel from the Wanamaker’s store in Philadelphia. The museum is located in the Finger Lakes***** region of New York State. It’s 4 or 5 hours drive from NYC, and about the same from Washington D.C.. From Niagara Falls it’s about 3 hours. The closest decent size city is Ithaca, home to Cornell University. And there is small regional airport (Elmira/Corning) that is only about a 15 minute drive (paid shuttle available) to the museum that has flights from Detroit, Philadelphia, Chicago, and Orlando. The exhibition is included as part of the general museum visitor charge. The museum is open 7 days a week from 9:00 AM to 8:00 PM during the summer, but after Labor Day the closing time moves up to 5:00 PM. Further details can be found at the museum website. 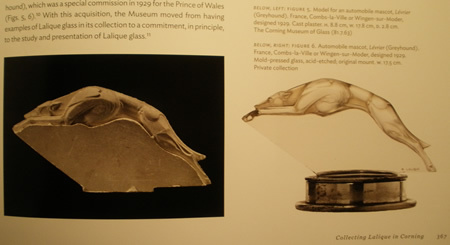 In conjunction with the exhibition, the museum has also published a thoughtful and informative nearly 400 page reference book about Rene Lalique and the Corning, containing hundreds of photos of both commercial and unique pieces, and pictures of a large number of original models. 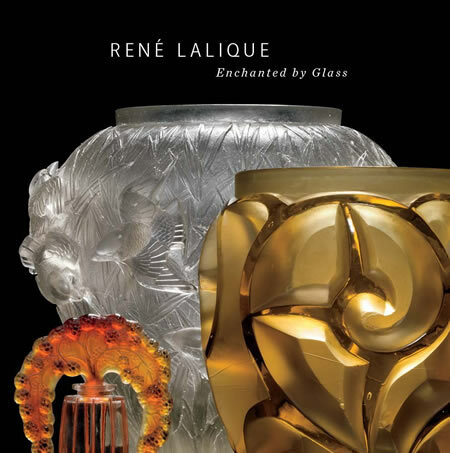 The book is coincidentally titled “Rene Lalique Enchanted by Glass”. Shown here from the book, in addition to a photo of the dust jacket, is a photo of the extremely rare non-commercial Levrier Car Mascot created as a gift for the Prince of Wales in 1929, next to a photo of an original plaster model for that mascot. Who else but the Corning can tell the story like this? The book is out of print, but check the library here on the site or write us directly about getting you one. This is not a show where a bunch of brightly colored vases, some valuable jewelry and a few unique objects are tossed together and the exhibitor is just saying, “Hey, look at this, didn’t this guy make cool stuff”. The Corning is fortunately situated with its collection and resources to bring this stuff to life, and to put it in perspective and context historically, educationally, artistically and industrially. 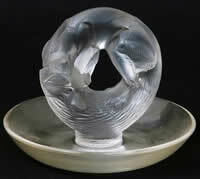 It’s a great opportunity for anyone interested in the Rene Lalique and his works. And heck, it’s just an added kicker that the Finger Lakes region of New York is a great place to visit in the summertime! * Persistence paid off for the for the Houghton clan. The 1957 Forbes Magazine list of the 76 richest Americans listed both Amory Houghton and Arthur A. Houghton Jr. at between 100 million and 200 million dollars each. In today’s dollars that’s in the billion range (give or take a few hundred million of course). 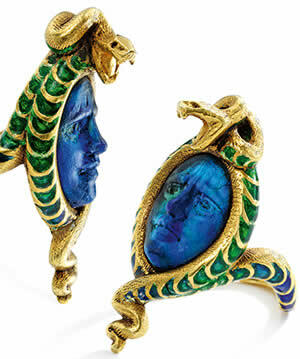 ** Included in the exhibition are 14 unique items (designs, objects, jewelry) on loan from other museums. The lenders are the Calouste Gulbenkian in Lisbon Portugal; the Chazen in Madison Wisconsin; The Walters in Baltimore Maryland, the VMFA in Richmond Virginia; the Smithsonian in Washington D.C.; and the Musée des arts décoratifs in Paris, France. 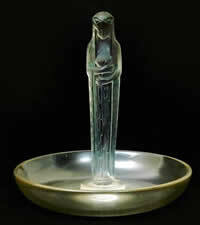 All are linked from our page listing over 80 museums around the world containing the works of Rene Lalique. *** The “takeway” is not a quote. It’s more like the gist, the central point, or the main idea as we took it. **** Kelley is the Assistant Curator of Modern and Contemporary Glass at the Corning. She has a Fine Art Bachelors Degree and a Masters in Decorative Arts History and has worked with a range of museums. She has a strong interest and background in the works of Rene Lalique and in the French artistic glass and jewelry milieu from which he emerged. ***** The Finger Lakes region of New York State is so named because of the pattern of a string of long narrow (and narrowing) lakes which run down from below the New York State Thruway (AKA I-90 or the Thomas E Dewey Thruway) roughly bounded by I-390 in the west and I-81 in the east; kind of in-between but below Rochester and Syracuse. The lakes look like fingers on a map. In any collecting field, when an auction puts down a new world record auction price or two, it’s a statement about the health of the market and the worldwide interest in the artist. This is about a sale with likely double-digit auction records. 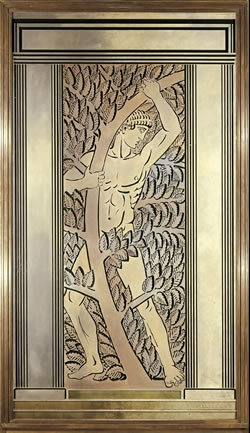 On April 30th, Christie’s cataloged 84 lots of R. Lalique at their King Street salerooms. All were from the same European based consignor and all apparently acquired in the last few years. So “fresh to market” would not apply here, with most of the goods having been to rodeo* quite recently. So of the 83 lots offered, the auction house reports that 62 were sold****, for a roughly 75% sales rate on the lot numbers. The premium inclusive total (used for all the following sales numbers) was £1,361,375 or about £21,950 per lot average selling price. Using an approximate real life exchange rate of 1.71 dollars to the Brit Pound (again for all that follows), that makes the sale total about $2,328,000, or $37,550 per sold lot. 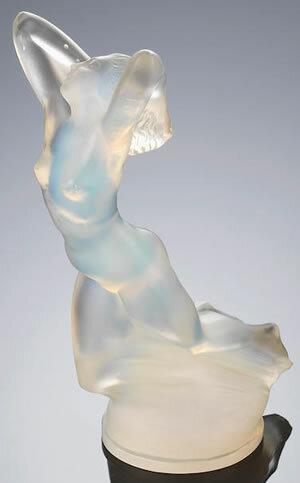 Lot 54 Terpsichore (Opalescent) £37,500/$64,100 – for the model a very close 2nd place but considering the slightly higher selling vase had more than just a passing opalescence, this is a really strong result. That’s a decent number of likely world record prices in a relatively small sale out of only 62 sold lots. Lest you are tempted to let thoughts of the superior investing acumen of the seller fog your brain, let’s take a bit of If/If time here using the amber Serpent Vase as an example. The all-in price paid at Heritage was $56,762.50. That would be the buyer’s cost. But the hammer price (not the all-in price shown above that would include the auction house buyers premium, but the price relevant to the seller’s proceeds) at this sale was $48,880. There would also be some expenses off that $48,800 such as a likely a seller commission, shipping back and forth to parts known and unknown, etc. Surely the seller hit some winners and just as surely got nicked a bit here and there as well. All If/If of course:). But to settle the big picture, it’s rumored that the consignor was sitting in the saleroom during the auction and did not appear to be dissatisfied with the ongoing results. Also likely satisfied was the single bidder that bought roughly a quarter of the lots in the sale (including the yellow Ceylan Vase, the green Sauterelles Vase, the blue Borromee Vase, the black Lezards Et Bluets Vase, and the agate Formose Vase), or all of the top five purchasers that accounted for roughly half the sale lots. 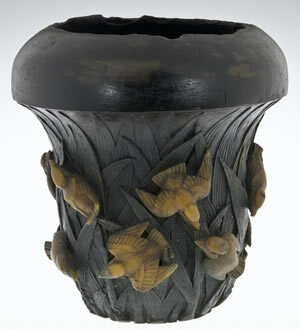 The high seller was Lot 25, the Cluny Vase which made £116,500/$199,200. 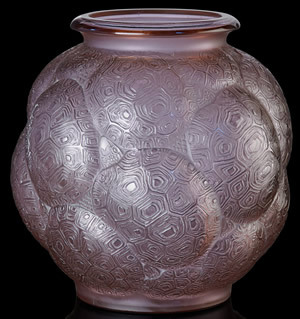 The runner-up was the Cire Perdue Covered Vase Lot 45 which made £92,500/$158,200. Curiously, one disappointment of the sale was that the runner-up vase was the only one of the three cire perdue vases to sell. Of course estimates were high as they were throughout the sale owing likely to the high prices recently paid by the seller, but that didn’t stop many of the colored glass commercial vases from making strong numbers. 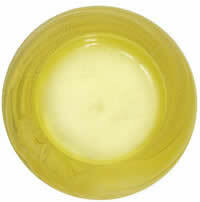 Also with only three cire perdues, it might just be too small a sample to draw conclusions from. And there might be other issues concerning specific pieces that caused a lack of bidding. 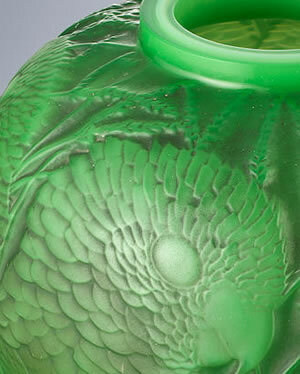 10 to 15 years ago, an opalescent green Rampillon Vase sold for about $6600 on Ebay. Over a decade later, it made under $11,000 at this sale******. In the same time frame, some colored Ronces were selling in the $10,000 range. So 15 years later on outlier world record on one vase makes $30,000. But the group of Ronces taken together was certainly not out of control. Did the green grasshopper vase go through the roof? Sure. But that’s only one vase. 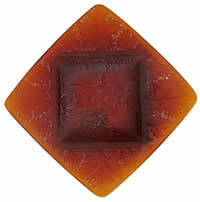 The four Formoses as a group, notwithstanding the agate example going quite high, were strong but not crazy. All the Perruches Vases were also firm but not wild, and certainly not records. And even some of the likely record prices were close (arguably close) to previous record highs. You also have to consider the venue and how that impacts pricing. Joy McCall and her staff have built a high quality reputation that gives comfort to all bidders, but especially new and inexperienced ones. 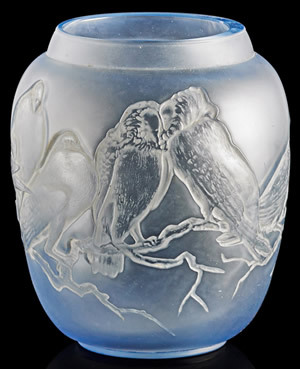 The Christie’s sales of R. Lalique have tended toward the high side in recent years as they’ve drawn in some great material, and also attracted the then current crop of higher end bidders building up (and chasing up at times) collections. Those bidders feel that they can bid with confidence at these sales, and this impacts prices of course. When owners come to RLalique.com for an evaluation of their items, we tell them that in addition to all the other considerations, that speed, cost, method, timing, and location of sale are significant factors in the expected value of art. These are not listed stocks where you call your broker and sell in an instant for the one penny spread. Confidence plays a great role in both the acquisition and disposition of art, and here we believe it has played a large one. Overall, just the kind of results you could anticipate in a firm market, at the right venue, with solid material offered. 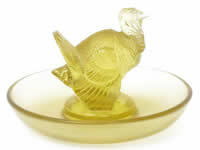 If you are looking for more information about any of the R. Lalique models that sold in this sale (or any that didn’t), check out the R. Lalique Catalog here at RLalique.com. All in all, another great day for the great Rene Lalique. * “Been to the rodeo before” or “This ain’t my first rodeo” are American expressions indicating that the same thing has happened or been experienced before, or something that’s happening is familiar. 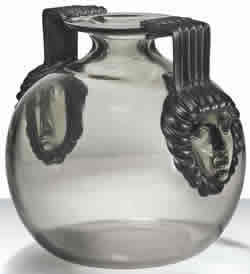 ** Here at RLalique.com, we noticed a couple of years ago during our daily world wide auction searches, a spate of supposed grey glass R. Lalique Bacchantes Vases appearing at auction in Europe. They were highly suspicious for their numbers, and for a couple of other reasons best kept close to the vest. They had concave bottoms and what appeared to some to be passable signatures. But of course, R. Lalique Gray Bacchantes Vases do not drop like overripe mangos from a rainforest tree, so both eyebrows and alarms were raised. 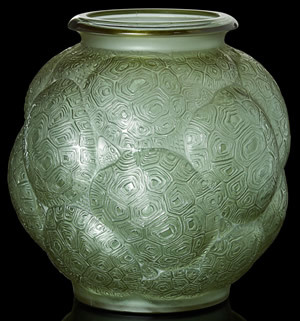 We talked to the purchaser of one of the vases, and it turned out in due time that this purchaser’s vase was in fact a modern crystal reproduction, heavily worked with a false signature applied, to be passed off as authentic R. Lalique. We can only assume 🙂 because of the vase, the color, and the timing of the consignor’s acquisitions, that the withdrawal was well advised and foreseeable. *** Gray is a color, and for this color-blind writer (in both a physical and metaphysical sense), it is the most prevalent color. 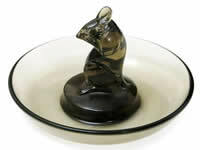 🙂 Black on the other hand is really the absence of color, but black R. Lalique items are considered by most, from a collecting standpoint to be colored pieces. 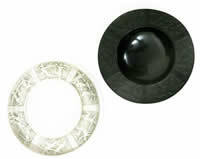 The Oracle says this is the correct view on all levels (again, both physically and metaphysically speaking), as Rene Lalique could not have produced a true, colorless black glass. **** We have Lot 10, the red Escargot Vase, as having passed at £18,000 and not selling. The published sales results show that vase selling for £20,000 plus £7500 premium, for an all-in total of £27,500 and this amount along with the sale is included in the reported results above. We assume it sold after it passed (non-buyers remorse? ), but fast enough to beat the results to press and be included just as if it sold from the podium. 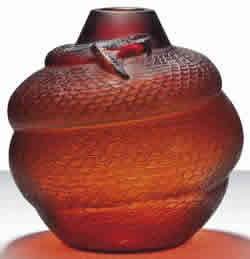 ***** The dark amber glass Serpent Vase in this sale is likely the previous world auction record holder from Heritage Auctions, where it made just a bit less. This standout example of the classic deco design graced the halls of World Headquarters for many years before being released to set the world record price for the model on now two different occasions. 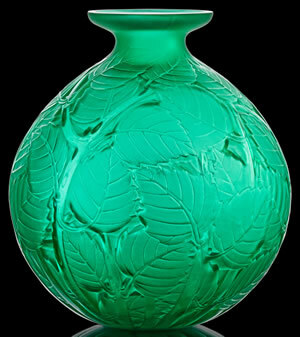 ****** Thankfully, the Christie’s London staff had the good sense not to repeat the November 1995 Park Avenue catalog calumny that only five of these green opalescent Rampillon Vases are known to exist. This author once had three of them in hand at the same time (yah yah, big hands) and pulled out that catalog just to have a good laugh. If you always wondered what King Arthur and the Knights of the Round Table, 16th Century Portuguese explorers, the movie “Legends of the Fall”, U.S. baby naming preferences, and Rene Lalique have in common; well we have the answer right here! 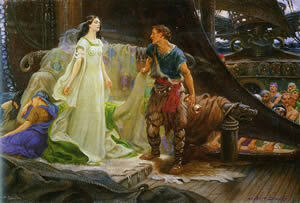 In Arthurian legend, Tristan (as shown here in an Arthur James Draper depiction) is the 12th century** Cornish Knight of the Round Table having a scandalous relationship with Iseult, the wife of the King. Incidentally, this tale of complicated involvement was kept alive in story form in France by hundreds of poets over the following centuries. A few hundred years later, the Portuguese explorer Tristao da Cunha stumbled upon what is now the most remote inhabited archipelago in the world, around 1750 miles south of South Africa. He named the main island and the island group after himself. Go figure. *** The islands have a bit of a colorful history being used as a weather station and U-Boat monitoring facility during World War II; being visited by the Duke of Edinburgh in 1957 (with the pictured main town Edinburgh of the Seven Seas then named after him); and being dang close to a late 1950’s U.S. Atomic Bomb test! 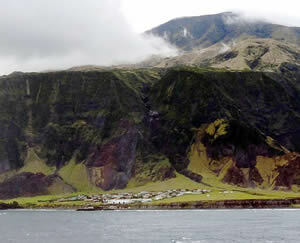 But before the 1900’s, when the Brits got a hold of the islands (formerly annexing them in 1816 just after the first permanent settler from of all places Salem Massachusetts landed in 1810), they dissed Tristao and changed the name to Tristan da Cunha, a name that has been shortened colloquially to Tristan. Note that the Queen of England still reigns over Tristan and it’s 250 or so inhabitants. 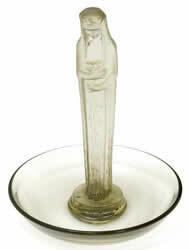 In 1928, Rene Lalique, a man not unfamiliar with complicated involvements, introduced his vase model no. 1013. 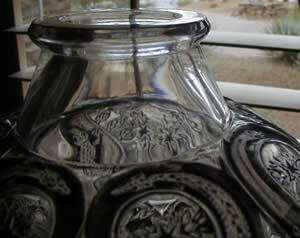 The vase was a heavy plain round container, with a pair of opposing large upward pointing and outward curving leafs. He named the vase Tristan. 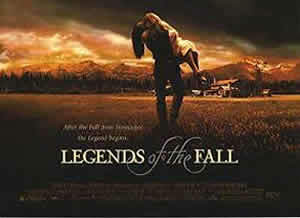 A little closer to our own time, after the great movie “Legends of the Fall” was released in 1994, Tristan, the name of the character in the movie played by Brad Pitt, became (and remains to this day) one of the top 100 baby boy names in the United States! Sadly, the author of Legends Of The Fall, Jim Harrison, passed away in Patagonia Arizona March 26th, 2016, not far from World Headquarters. He had moved from rural Michigan to Montana (the setting for the story), and Arizona. In each place he wrote in solitude, surrounded by natural beauty. And while he stood on the shoulders of Thoreau, his writing was uniquely his own. He was regarded by many as the greatest living American fiction writer. And in our own time, and perhaps more important to most readers than all the preceding (unless of course you are a relative of Alice’s Adventures In Wonderland author Charles Dodgson, better known as Lewis Carroll, whose younger brother was a missionary and schoolteacher on Tristan); on December 18th at the Sotheby’s salerooms in New York City, a cobalt blue Rene Lalique Tristan Vase appeared as Lot No. 122. 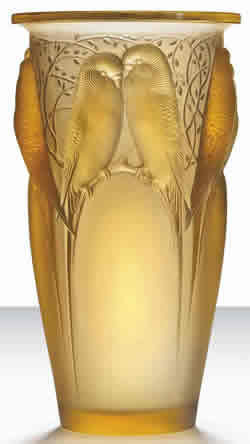 The 8 inch by 13 inch vase, with its unique form and rare coloring was estimated at $45,000 to $60,000. But by the time the hammer came down it had more than doubled the high end of that estimate with a final sales price including commissions of $125,000! 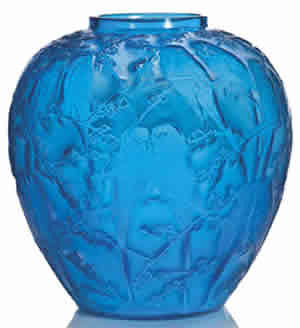 That price makes the blue Tristan Vase total, one of the five highest auction sale prices that we know of having ever been recorded for a colored glass R. Lalique commercial vase, putting it in close company with the red Hirondelles Vase, the cased yellow Oranges Vase, and the blue Poissons Vase. ** 12th Century: or 11th or 13th, you can never be too approximate with legends. *** “Go figure” is an American slang with a few related uses, including the one here to emphasize and ridicule that the obvious or expected had happened. 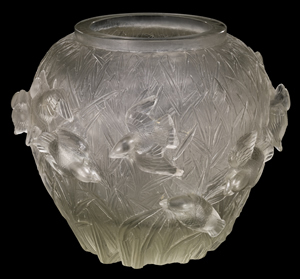 R. Lalique once again made a strong showing at the Christie’s South Kensington semi-annual Lalique sale on November 21st. 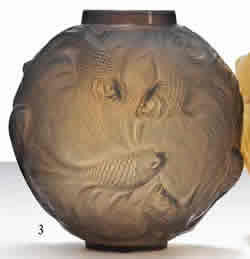 Vases led the way with several world record prices, yielding a sale total including buyer’s premium of £596,875 (all results are reported to include the premium), or about $960,000 at an exchange rate used throughout this article of about 1.61 U.S. dollars per British pound. 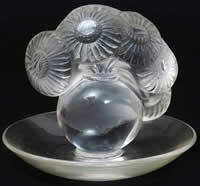 Of the total 157 lots in the sale, approximately 37 were modern crystal reproductions or just modern crystal designs, leaving 120 original R. Lalique pieces on offer. 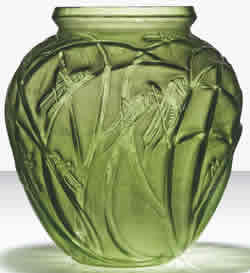 Of those 120 works of Rene Lalique, 20 failed to sell, for a take-up rate of about 83% on the original works. 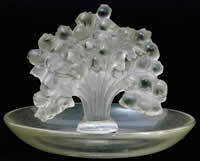 The 100 sold R. Lalique items added up to £484,724 or an average price of about £4850 ($7800) per lot. 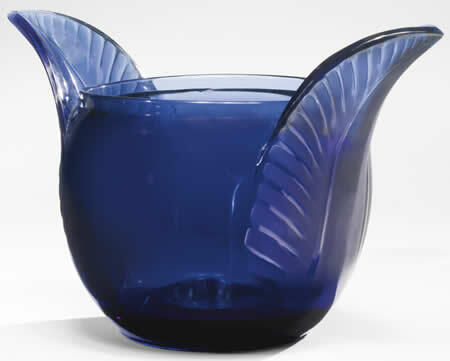 Top sellers were led by a Perruches Vase in blue glass that made a surprisingly strong £55,000, or about $88,500. 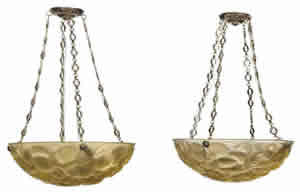 Next was a tie between two lots: an amber glass Perruches Vase and a pair of Lausanne Light Fixtures. Each of these lots made £32,500 or about $52,500. 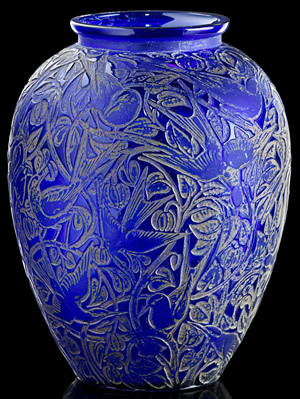 Fourth place went to a frosted Serpent Vase making £30,000 ($48,500) followed by another Perruches Vase, this one in opalescent glass, which sold for £27,500 ($44,500). 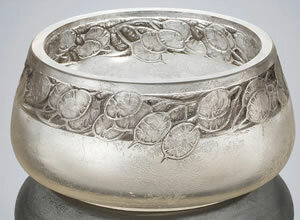 The top five lots accounted for £177,500 or over 1/3 of the R. Lalique total. 4 of the top 5 prices were for vases, and 3 of those vases were Perruches Vases. Some other notable prices include an opalescent Ceylan vase for £13,750 ($22,000), a Dinard Box at £11,250 ($18,000), and a Quatre Cigalas Perfume Bottle at £4,375 ($7,000). The price of the blue Perruches Vase, the last lot of the sale, represents a world record price at auction for a blue Perruches Vase, and for any Perruches Vase, exceeding the price of approximately $75,500 set in these same salerooms just 6 months ago. 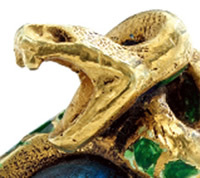 The price on the Ceylan is also a world record price for any Ceylan Vase at auction, as is the price for the frosted Serpent Vase, though colored glass Serpents have sold higher. Finally, the Dinard Box total also is a likely world record. Here is a link to all the results (including the lot descriptions). As usual, the staff at Christie’s South Kensington, led by the experienced Joy McCall, did a great job of assembling a diverse group of attractive and desirable items, and working with all potential bidders in a pleasant and professional manner. 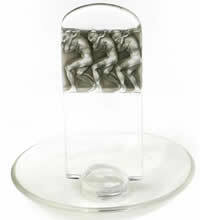 Another successful sale for Christie’s South Kensington and another great day for the great Rene Lalique.